Staff and pupils at St Andrews Pre-School in Burgess Hill are ‘over the moon’ after receiving an ‘outstanding’ rating from education bosses. The school in Cants Lane had an Ofsted inspection on October 8. The report, which has since been published, praised the school for its outstanding leadership and management, quality of teaching, and its outstanding outcomes for children. Manager Sarah John said: “We are over the moon. Especially as are a busy pack away setting. We are a charity and run by a committee. “We hire out St Andrews church hall and have to put all our equipment away each day, so it is always difficult to get an outstanding rating. “And Ofsted has changed its criteria, so it is harder to get an outstanding rating now – it feels amazing. The Ofsted report praised Sarah for her experience and dedication. It said she was ‘deeply committed to the ongoing development of the pre-school and continually improving outcomes for all children’. The report said staff had developed excellent relationships with a wide range of professionals to meet children’s individual needs incredibly well. It said children’s voices were listened to, staff valued their ideas and they were motivated to be inquisitive learners. It also said staff had created a very welcoming and relaxed environment where children felt incredibly safe and secure. It added: “Staff attend regular training and have an excellent understanding of all aspects of safeguarding. 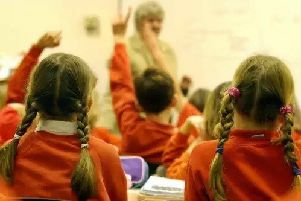 The report said all children at the school, including those who have special educational needs (SEN) and/or disabilities, have made excellent progress. It said a local health visitor regularly attends to complete children’s developmental assessments with parents and the staff team. The school was rated ‘good’ in its last Ofsted inspection.